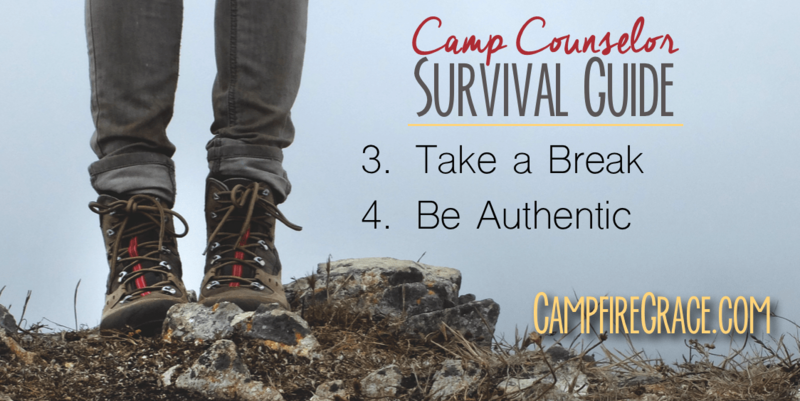 How to Survive as a Camp Counselor (Tip 5): Stay Healthy! In my opinion, camp is one of the greatest salutes to summer ever imagined. Camping is certainly in the top 5 as well. However, there is something about a group of teenagers gathering for a week away from parents, internet, and daily expectations that sets a soul free. Whoever thought of this concept of “Summer Camp” is my hero. At least, my hero when I was a camper. 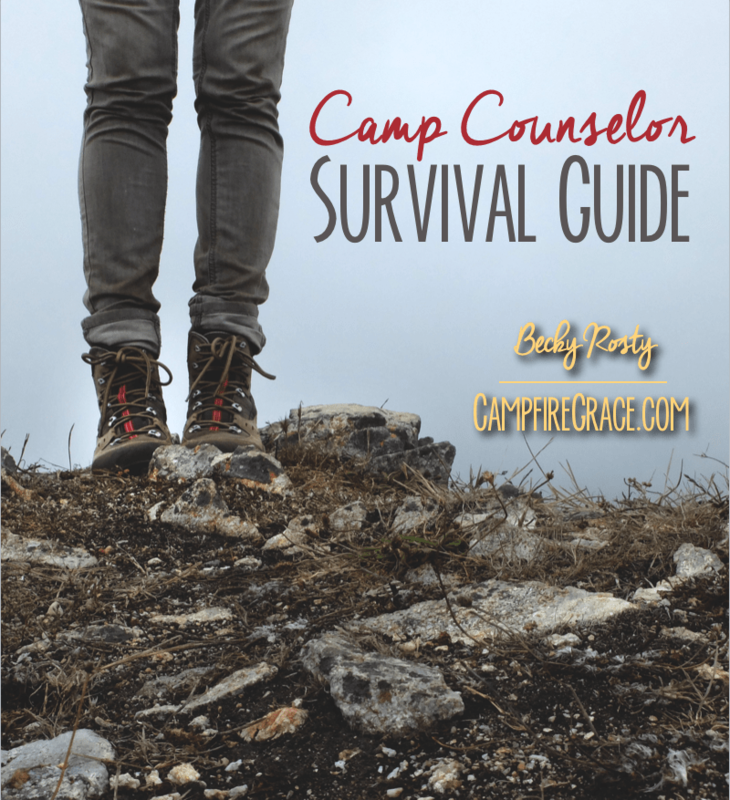 When I started pursuing my dream as a camp counselor one summer, and youth ministry intern another, I wasn’t so sure about the brilliance behind the concept of camp. I think the luster began to fade when I began to fade: spiritually and physically. In addition to the first 4 camp counselor survival tips, these next 4 are key to maintaining physical health and strengths. Camp food sits at the top 3 favorite things for campers. Greasy, heavy, thick, comfort food. Cinnamon rolls, Taco in a bag, and lets not forget the CANTEEN! It’s a camper’s paradise. But a camp counselor cannot survive on soda, sugar, and salt-heavy foods all summer. At one point, you might have to sneak in some asparagus my friend. Choosing lighter portions, adding a salad, and opting for healthy snacks (lets face it, you need snacks throughout the day to keep that energy up). If you cannot maintain healthy eating habits, invest in some vitamins or supplements. Indulging in camp food is certainly lawful. However, be encouraged to set boundaries on food that stops being healthful or dominating. I. God gave us sleep as a reminder that He is God, and we are not. He will take care of all the soul-saving without us staying up an extra hour to make a pretty poster for Bible study. II. God gave us sleep to keep us healthy. Human bodies need sleep. Without it, our ministry effectiveness can be diminished. Without sleep, I consistently forgot my campers names and backgrounds, over-ate to stay awake, and had poor confidence (more on this later) among other staff members. Of course, you can over do this one. The Bible warns against laziness, and even Jesus asked His disciples to stay awake in prayer through the night with Him once. There are special circumstances. Walk in step with the Spirit, be awake when He is working through you, go to sleep when you want to start taking over. John is concerned with his readers physical health as well as their soul health. We should be too. We tell our campers to shower. Please, for the love of all that is good on this green earth, SHOWER! And change your underwear, brush your teeth, keep your bed clean. This is mandatory for a summer ministry leader as well. It only takes 2 minutes to wash your face at night, and you will be grateful you don’t wake up with a fresh distracting zit on your nose in the morning. Zits lower confidence. Distract us from the mission. Zits are painful. Don’t get zits. Practice good hygiene. Same is true for bad breath, stinky feet, ingrown toenails, pink eye (wash your hands), a crusty nostril, and waxy ears. You may feel that exercise is unnecessary during your summer ministry season. Field games, hikes, lake day, giving piggy back rides to younger campers consumes more of your energy than you have. I knew some girl counselors who would wake up 2 hours early to get a run in every morning before the day started. Whew, that’s determination. I was more interested in protecting point B to join them. However, I admire staff who make a point to keep their bodies flexible, muscles strong, and lungs enduring. Do what you can, without idolizing fitness or appearance, or compromising other areas of your life. I suggest listening to a sermon podcast or worship music during a stretching session, jog, or cardio burst. Just take 15 minutes. Enjoy a mental, spiritual, and physical regrouping to keep you on track for the rest of the day. How do you keep your body healthy during a busy and highly-demanding season? Leave your answer in a comment. Congratulations! You have been accepted as a camp counselor for Best-Camp-Ever USA! You probably grew up attending this camp. A life-long summer dream come true, you can’t wait to slip your Keens on and start bonding with the rest of staff. This was my perspective, at least, when I began training as a CIT (Counselor in Training) at 18 years old. All that energy carried me through my one week as a staffer. However, in future years, I realized that energy failed to significantly impact, not just my own life, but also the lives of those I would mentor each summer. Excitement and passion for camp (or any summer ministry) is not enough to make a summer count for God’s kingdom. Years in summer-specific ministries (camps, youth group internships, missions trip leaderships, college ministry mentorship) have taught me what a camp counselor really needs to make it. A camp counselor plays so many parts: Bible study skit actor, worship leader, substitute-mom (or dad) for the homesick camper, etc. Sometimes talking about God, praying, even leading a devotional can start to feel like another “part.” The script is easy, and it starts to flow in your words and actions without a lot of thought. While we can praise God for such a transformation, we also should be cautious of becoming robotic in our acknowledgement of God. To maintain an actual connection with our Lord, make time for your personal relationship with Him every day. That might sound impossible with all the activities, expectations, and your own personal goals during the week. I often prioritized decorating personalized notes for each of my campers above spending time with Jesus. My campers had a cool item to remember me by, but my soul was weak and empty. When we stop acknowledging God, we start depending on the almighty SELF to take care of things. God has wisdom, comfort, stamina, strength, and fun in abundance for you and your campers. Stop trying to come up with all the ideas and answers on your own. Stop, acknowledge God, and ask for His help and right perspective of each situation. You are doing a lot of pouring out. Camp can be draining physically, spiritually, emotionally, even socially. Acknowledging God is a good way to fill back up each day; however, God has provided an additional tool for your heart-and-soul-maintenance. Hebrews reminds us to observe and imitate the faith-life of our leaders. I subscribe to many speakers and authors, appreciating their teachings’ impact in my life. But nothing compares to a phone conversation or a cup of coffee with a personal mentor. The intimacy required to share firsthand stories, impart wisdom, and encourage through personal prayers is a beautiful reflection of how Jesus cares for us. The apostle Paul set up an excellent model for mentorship. Paul was mentored by Barnabas (Acts 11:25-26), enjoyed friendship and ministry partnership with Luke (Colossians 4:14), and trained his disciple/mentee Timothy (Acts 16:3-4). Fold her laundry while you debrief a rough week. Most important: find your strength and fulfillment in God first (see above), so you wont become too clingy or needy of your mentor. Check back soon for tips 3 and 4! How do you keep your relationship with God intimate during a busy summer? Do you have a mentor? Where/how did you find him or her? My husband and I have been extra-blessed with the opportunity to build our own home. Even more exciting is how our family has come around us to build it together, including my parents and my husband’s parents. It is the ultimate DIY project, and the whole family is involved. I am constantly impressed with the number of details involved in building a house. Last Fall, I encountered the small detail of setting up a fence for our yard. The timing felt odd, but for various reasons, we built our fence before the walls of our house were even in place. Our first task: digging the holes for the fence posts. Working side by side with my mom, we started breaking up the rock-dirt. That’s right, not rock-hard-dirt, just rock-dirt. Using a 40 lb. digging bar, we pounded the ground 4 dozen times, then scooped out the broken pieces with our hands. Each round removed maybe 1/4 inch from the hole-to-be. Together, we focused for hours on one hole. Exhausted, sweating, and finger muscles throbbing, we peered down the intimidating row of future holes. There, on the opposite end, was my super-hero father-in-law, Steve, hulk-smashing each hole in a matter of minutes. A feeling of relief and wonder, tinged with a little jealous frustration, raced through our tired bones. Realizing how useless our efforts were in comparison to Steve, we stepped out of the way. “Surely we could be more helpful somewhere else,” we thought. But our boss (which happens to be my dad) quickly reminded us to keep digging. How silly we felt, how pathetic. But we persevered, finishing 1 and 1/2 holes by the day’s end. Steve finished 10 and 1/2. This story is a perfect reflection of ministry. Every person who has entered into God’s family is a part of the epic family project of building a house: God’s house. We know, of course, that “unless the Lord builds the house, the builders labor in vain.” (Psalm 127:1) But we also know that each of God’s children are invited to participate. Whether by leading through a paid ministry position, raising godly children, or reaching out to co-workers: we all have a detail to focus on. Sometimes though, we see someone else making incredible progress in their ministry. These are the ones who rarely get drained by people; the Christians who have the perfect words to say every time. We all know the guy who can naturally bend a conversation to focus on God’s love and plan of redemption for humanity. He hosts one Bible-study over coffee, and before you know it, 10 and 1/2 people have committed their life to Christ. In comparison, you wonder why you keep fumbling over the “Romans’ Road” with your neighbor and his poodle. At a certain point, you just want to invite Mr. Incredible over to the neighbor’s and so he can gently Hulk-smash them into eternal life with Jesus. It’s a family DIY project, and each family member gets to be a part of building this house.